Bavarian Motor Works got it right when they introduced their line of German luxury cars more than 70 years ago. BMW’s are superior vehicles, and an excellence investment on your behalf. Here at Mike’s Auto Service, we take BMW service and repair very seriously, and understand the importance of protecting your asset. As a NAPA® authorized auto care center, you can trust that your BMW will be our top priority. We assure you the highest customer satisfaction, and offer our services at a fraction of the dealerships’ prices. Our ultimate goal is to provide high-quality BMW service at a price you can afford. 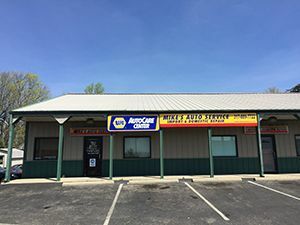 Whether it’s a BMW X5, or a BMW 3 series, our ASE certified technicians can service or repair all model BMW cars, sedans, and SUV’s in Greenwood, IN.We use all NAPA® and OEM auto parts, and offer a wide range of auto repair services, including factory scheduled maintenance, minor repairs, major repairs, and much more. Our technologies, knowledge, and resources allow us to solve BMW issues properly the first time, and get you back on the road safely in no time. Call 317-889-7722 for an estimate, or to schedule an appointment today.